For 11 years, the City of Vigan has been celebrating the Torch and Lantern Parade which came to be known as “Artes ita Paskua”, as the start of the Christmas festivities in the City. 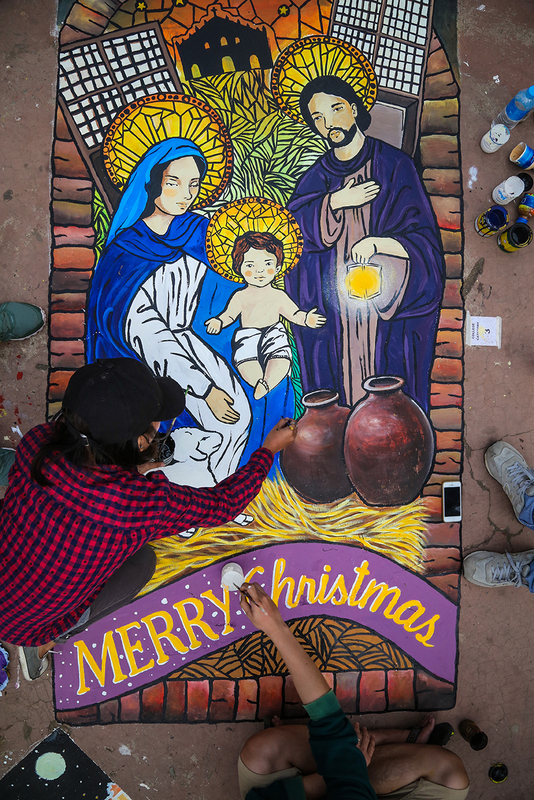 This year, several competitions were added such as the Barangay Christmas Decoration Making, On-the-Spot Christmas Card Making, and On-the-Spot Street Painting to strengthen and showcase the artistry of the Bigueños. On December 15, the City Government of Vigan headed by Mayor Carlo Medina, the City Council and participants of various Christmas competitions ignited their handcrafted lights for the Torch and Lantern Parade. People crowded around the Vigan City Hall to witness the Christmas Video Mapping Presentation and Awarding of Christmas Competition Winners afterwards. Twelve groups battled in the On-the-Spot Parol/Lantern Making. Kenneth Ribucan, Janine Ribucan, and Jann Kendricx Ribucan emerged as Champions and received Php15,000; Runverto Corpuz, Willy Arellano, and Sheena Salomon in 2nd Place received Php10,000; Rowel Bautista, John Michael Ablog, and Mark Levi Ubasa in 3rd Place received Php5,000. The other participants also received a consolation prize worth Php2,500 each. The judges were Mr. Leonardo Quiocho, Ms. Flordeliza Gonzales, and Mr. Amado Valdez. High school students, college students, and freelance artists in Vigan rendered their artistic designs on the ground of Plaza Burgos for the On-the-Spot Street Painting. 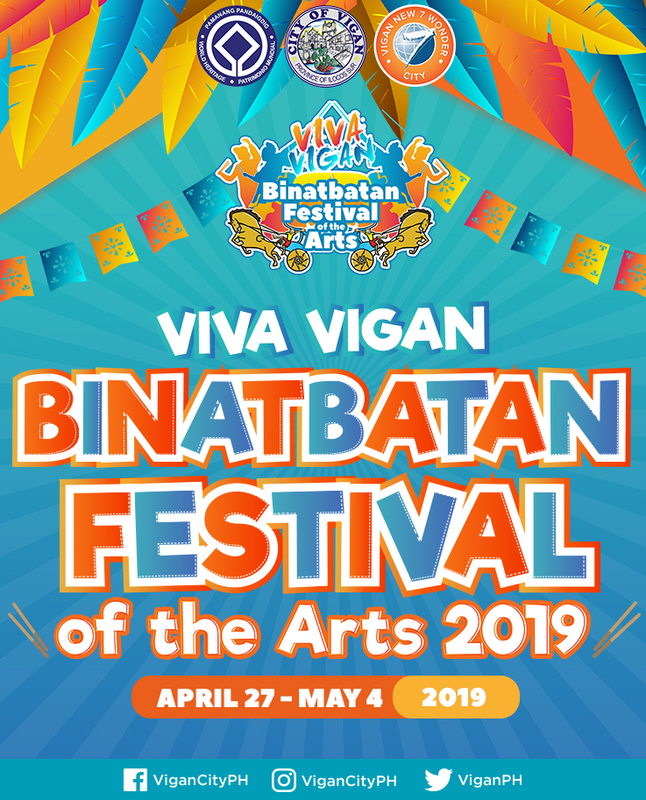 The winners were the following: High School Category Champion – Mildred Alcones, Angel Lyn Real, Greigson Leysan, Rochelle Palario, and Ronald Ardona; 2nd Place – Kristin Eresa Arquero, Trisha Arquero, Daphne Gonzalo, Jamela Caidoy, and Jeremy Caidoy; and 3rd Place – Edel Cris Jun Sotelo, Christian Joseph Taborda, Lorenz Angelo Tinaza, Marjhie Cabalteja, and Gabrielle Chynna Vale. The winners for the College Category were: Champion – Jan Larry Fernandez, Marvin Tabin, Michael Lor, Bryan Jaramillo, and Jza Mei Aguilar; 2nd Place – Christian Puguen, Mickey Tremor, Rose Rafanan, Philip Prades, and Laymar Reynon; and 3rd Place – Aileen Balderema, Florence Eduarte, Rachel Timwat, Dave Immanuel Inciong, and Mark Anthony Aguilar. The winners for the Open Category were: Champion – Lance dela Torre, Derick dela Cruz, JR dela Cruz, Erwin Rosas, and Alfred Rojas; 2nd Place – Alexis Rafanan, Mark Jay Taiza, Emerson Rabbon, Johnrey Padilla, and Joco Paje; and 3rd Place – Ludivina Arcellana, Oscar Arcellana, Juan Singson, Bernardo Arcellana, and Christine Joy dela Cruz. The different barangays also creatively designed the façade of their barangay halls as they compete for the best Christmas Decoration. 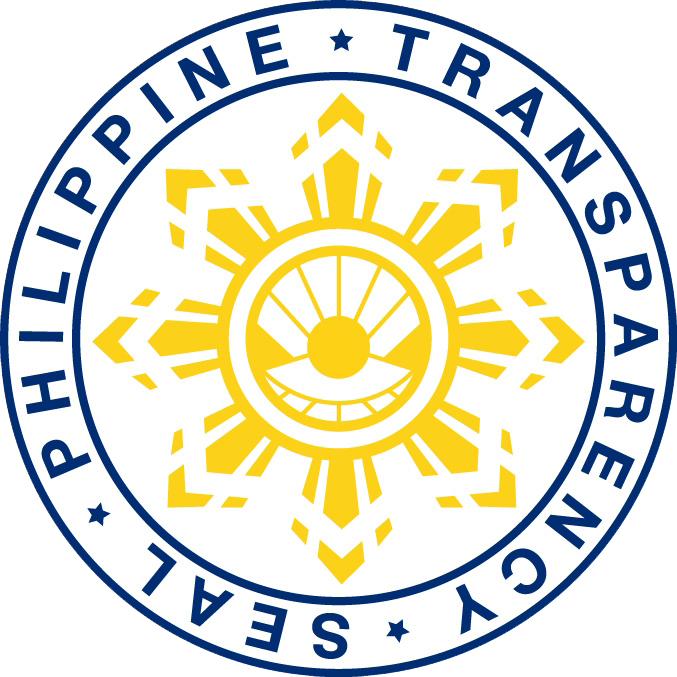 Rugsuanan was hailed 1st Placer and received Php25,000; Mindoro received Php20,000 as 2nd Placer; Paoa in 3rd Place received Php15,000; Brgy. IX (Cuta) in 4th Place received Php12,000; and Beddeng Laud in 5th Place received Php10,000. A consolation of Php5,000 each was also given to non-winning entries. The judges were Architect Fatima Alonzo, Mr. Solito Cortel, and Ms. Jonalyn Ponce. Elementary pupils of both public and private schools also actively participated in the On-the-Spot Christmas Card Making. Jaziree Amigable of Camanggaan Elementary School garnered 1st Place and received Php7,000 cash prize; Neriza Adriatico of Nagsangalan Elementary School in 2nd place received Php5,000; Michael Angel Reyes of Vigan Central School, the 3rd Placer received Php4,000; John Andrei Rabang of Pantay Elementary School in 4th Place received Php3,000; and Kent Madriaga of UCCP Learning and Development Center, the 5th Placer received Php2,000. A consolation prize worth of Php1,000 was also given to the other participants. The judges were Mrs. Celerina Agcamaran, Ms. Jonalyn Ponce, and Mr. Benedict Arquero.